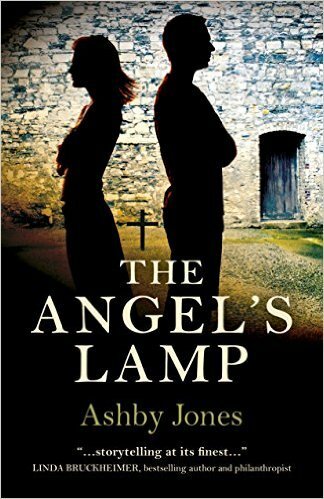 The Angel’s Lamp, a new novel by Ashby Jones, is set in Ireland at the time of the Easter Rising and the tumultuous times that followed as the Irish people struggled for freedom. Since we are marking the centenary of the 1916 Rising this year, I was delighted when Top Hat Books asked me to review this new publication. And good news, the publisher has provided a copy of The Angel’s Lamp for one lucky reader to win. But before I share the details on how to enter, let’s explore this book together. The Angel’s Lamp tells the story of Johnny Flynn, an Irish-born, Bermingham-raised staff-sergeant in the 1916 British Army. Johnny is posted to Kilmainham Jail where he is in charge of the rebellion’s soon-to-be executed leaders. Johnny assists Pearse as he prepares to face the firing squad. 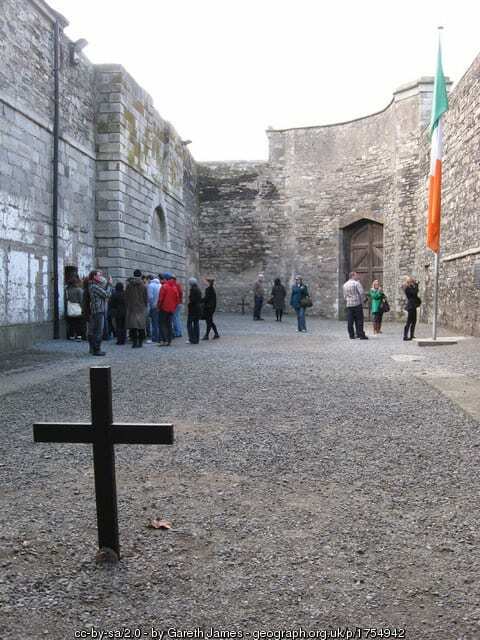 The Stonebreaker’s Yard at Kilmainham Jail, scene of the shooting by firing squad of the leaders of the 1916 Rising. Transferred to Dublin Castle to stand guard over the ailing James Connolly, Johnny meets Nora, the Rebellion leader’s daughter. Struck by her determination to take the fight to the British, Johnny faces a devastating decision when he is summoned to serve on the firing squad that executes Connolly. Guilt ridden after the execution, Johnny sees himself as a traitor to his Irish heritage, and reaches the dangerous decision to desert the British Army. Teaming up with the ragtag Irish rebels, he inevitably crosses paths with Nora. Their story of emotional conflict set against the bleak backdrop of guerilla warfare, culminates in an impassioned, intense encounter between Johnny and Nora. If love can survive, together they must face the unrelenting demands of understanding and forgiveness. Ashby Jones’ resonating and lyrical words form haunting paragraphs, with fact and fiction intertwined to create a compelling novel. But what makes this book a true page turner????? I believe it’s the writer’s ability to seamlessly tell his story from the sympathetic and beleaguered viewpoint of Johnny Flynn. From the very beginning the reader is part of Johnny’s emotional conflicts, as he dutifully faces the heinous tasks assigned to him. His internal struggles with obligation, honor, patriotism, betrayal, love and deliverance, expose the reader to the multi-dimensional forces at work in a time of violent upheaval. Giving voice to the strife on both sides of a conflict is a difficult task. But Ashby Jones illuminates the heart-wrenching dilemmas faced by all involved in this bloody fight for freedom. The reader is introduced to rebel leaders such as Pearse, Countess Markievicz, and James Connolly, the infamous Black and Tans, the volunteer women of Cumann na mBan, and above all, the commoners on both sides, deeply affected by an unanticipated revolution. As a reader of historical fiction I sometimes find myself in a quandry trying to decide if I like or dislike the practice of using true, real-life historical persons as main characters in a fictionalized novel. As I started reading this book, I was unsure of the author’s choice to name Nora Connolly as one of the main characters, thereby creating an imaginary love story to dramatize history. However, as I progressed through the pages I came to realize the writer is taking us on an emotional journey, where our human predicaments, contrasts, achievements and radical thinking are highlighted through the art of storytelling, and not merely the repetition of known facts. is herein done with utmost care and respect. 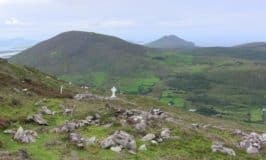 Why choose Ireland as the setting for your novel? Ashby Jones admits he is intrigued by Ireland and her history, despite the fact his ancestral roots are not Irish. He first visited Ireland many years ago and stayed at the Shelbourne Hotel on Dublin’s St. Stephen’s Green. There he learned how the windows of the hotel were blown out during the Easter Rising of 1916. Over the coming days he asked more and more questions of Dublin folk, and visited the sites associated with the Rebellion – Kilmainham Jail, Arbour Hill, and the GPO. But it was his visit to Kilmainham Jail that sealed his fascination with Dublin and the leaders of the Rising. As he stood in the loft outside Patrick Pearse’s cell a young couple started to laugh. The tour guide asked them to leave, and as he did, a strange draft passed through the loft. Jones perceived a deep spiritual connection with the past, standing outside Pearse’s cell in Kilmainham Jail, kindling his quest to learn all he could about the people and heroes of 1916. He has since visited Dublin many times, and completed extensive research on her history and people. There are a few minor little glitches I noticed in this novel, which I feel compelled to highlight, as an Irish-born, avid reader of history. At one point Johnny sings “The Fields of Athenry”, which was not written until the 1970’s. However, Ashby Jones so loves this song he envisioned Johnny Flynn belting it out in the corner of a Dublin pub. I thought perhaps Johnny would have sung “It’s A Long Way To Tipperary,” a favorite with the British Army at the time of the First World War. One of the volunteers in Cumann na mBan is named Shannon, which is a beautiful and popular name used by Irish Americans today. I don’t believe any Irish woman at the time of the Rising would have been so christened. James Connolly uses the name “Sarasol”, meaning freedom, for his beloved Nora. This may be an alternative Gaelic form of the word for freedom, but I have always used “Saoirse” to mean freedom in Irish. 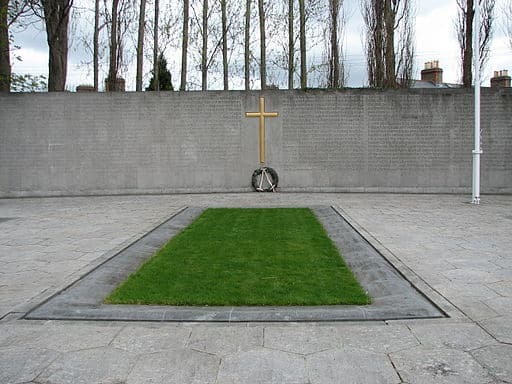 The plot at Arbour Hill prison where the leaders of the 1916 Rising are buried. The characters of this novel move through Dublin’s streets on foot. Their journeys were very familiar to me, and sometimes I couldn’t help thinking they could have saved themselves a few steps by choosing an alternative route. Only a Dublin girl, who cycled her city’s streets and alleyways as a student, would pay heed to such directional details. Irish history is a favorite subject of mine, as you all probably know, and I must confess I did get a little lost in the progression and timing of this novel’s plot. The Black and Tans arrive in Ireland sooner than recorded in the historical timeline embedded in my Irish head, and the battle of Crossbarry in County Cork transpires far sooner than I expected. I questioned Ashby Jones regarding what I perceived as a compression of time in his novel. He explained that as he wrote, the movement of the story became more important than strict adherence to a factual timeline. He eliminated the incongruities of time, to allow the emotional story prevail. But rest assured, these minor issues are merely the musings of a picky Irish reader. For anyone wishing to be introduced to Irish history, or for those who wish to experience this difficult and transforming period through the sensitive lens of a skilled story teller, then this novel is for you. Johnny Flynn navigates his personal conflicts, doing battle with the forces of good and evil, forgiveness and redemption, on his quest to find his moral compass. At one point Johnny wondered …. The trials and tribulations of humanity are ongoing; some characters, like Johnny Flynn, are sensitive enough to recognize the chaotic plight of the human spirit, and are emotionally honest enough to take the reader on an unexpected and satisfying journey. Fast paced, impassioned and poignant, The Angel’s Lamp is the perfect read for lovers of Ireland and her people. One lucky reader will receive a copy of The Angel’s Lamp. To enter just leave a comment on this blog post by noon on Wednesday, February 10th, 2016. Any comment will do. What you write does not affect your chance of winning, but if you need inspiration for your entry why not tell us if you have ever visited any of the sites associated with the 1916 Rising. Winners will be announced on Wednesday February 10th, 2016, at the bottom of this blog post. A big thank you to Top Hat Books for sponsoring this prize. And thanks to everyone who supports this little giveaway. Best of luck to all the entrants. And a big thank you to Ashby Jones for introducing us to his writing and to Top Hat Books for sponsoring this prize. P.S. I received a complimentary copy of The Angel’s Lamp for review purposes, and the publisher has sponsored the prize for this giveaway. This did not affect my critique of this novel, and the views expressed are my own. A quick note: Some of the links below are affiliate links, which means that should you choose to purchase this book through one of my links, I will receive a small commission. This does not affect the price you pay. You can purchase The Angel’s Lamp directly from Top Hat Books as a paperback or e-book. Or you can purchase it from Amazon using the link below. Am I the first? Great! Very nice review, Mairead! Sounds like a good read, thanks very much! You sure are the first, Lou. Thanks for checking out my post and supporting this little giveaway. I moved to Chicago when I was 18 from Ireland. The Tribune tower downtown has a piece of the Dublin GPO embedded in its stonework. I got a big thrill out of this the first time seeing it! Hi Aileen – I never knew a little piece of the GPO made it all the way to Chicago – thanks for sharing that little piece of Irish historical trivia. I too would get a thrill upon seeing it. That is so cool! How wonderful that must be. I wonder what it looks like. Sounds to be a great book, Mairead, thank you for Sharing. I was so happy to find your blog. This weekend I am cooking and authentic Irish meal for a group that is planning a trip to Ireland in a few years. I love reading your blog! Hi Sue – I’m delighted you found my recipes and ramblings. Thanks for checking them out and hope your Irish meal is a great success. I HAVE been to these places! How exciting it was to learn the history and I think it would be equally exciting to read the fictionalization of these characters in this book! Hi Deborah – I’m so glad to learn you were lucky enough to visit these sites and to learn about their historical significance. I hope to bring my kids to Kilmainham Jail someday in the future. My youngest kids are 9, so I’m debating if they are old enough to learn about firing squads and these dark days of Irish history. But I know I learned about the Rising when I was around their age. All the best, and thanks for supporting this giveaway. Thanks Pat. I really enjoy learning about new Irish and Irish American themed books. My blog has grown into a wonderful way to connect with publishers who wish to introduce new writers and projects to all of us. Whether I win a copy or not, I will definitely be reading the book. I am fascinated by early 20th century Irish history. For anyone wanting to know more about The Rising, there is a MOOC course through FutureLearn that starts March 14th. https://www.futurelearn.com/courses/irish-history The educators are from Trinity College Dublin. It is time-consuming, but you will learn a lot! One can get lost looking through all the materials that have been archived and are available online. 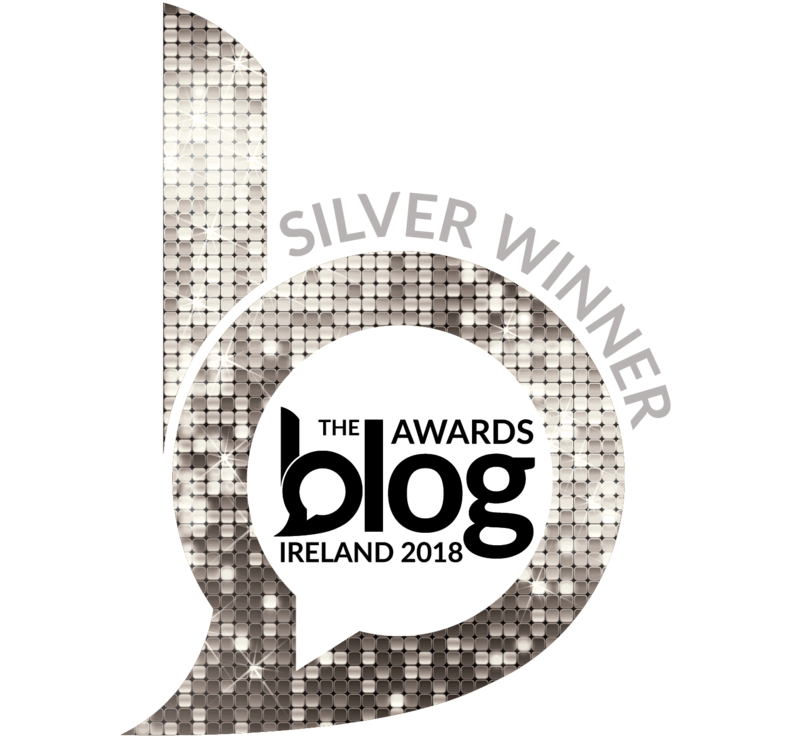 Thank you for a wonderful blog and letting us see Irish life through your eyes. Hi Janine – Thank you so much for sharing the link for this online course. It sounds fascinating and it’s wonderful to get a helping hand from college educators to cut down on time spent researching. Thanks too for your kind words about my blog. I really appreciate readers like you who come back regularly to check out my latest posts. Sounds like a good book, I would love to read it. One of my favourite style of books are historical fictions. This sounds like it pulls you right into the story. Love to read it. I too have been to Dublin and visited some of the sites of the Rising. I took my two sons and 2 grandsons to see Ireland, where their great grandfather and great-great grandfather was from. My grandfather’s family was from County Cork. I rented a van for the five of us and drove around the entire country. I have read extensively about Ireland, and keep doing so at every opportunity. I traveled around the world with the U.S. Department of State, in the foreign service. During all of those travels I met and became friends with many Irish people. I am a student of history and am constantly fascinated by what I learn about Ireland. I have often queried the Irish that I meet to confirm or deny many of the things I have learned, or better said, read about Ireland. I am from the state of Missouri (the show me state), so I like to make sure what I read/learn is correct. I most certainly will be reading this book, and by the way I am taking my granddaughter to Ireland in May of this year. Hi Bill – I hope you have a wonderful time with your daughter when you visit in May. Ireland is beautiful in May – the hedgerows are awash with the colors of yellow furze, white thorn blossoms, and red fuchsia. I like how you try to establish the truth behind many of the Irish stories you have heard and read over the years. A good practice indeed, especially when you consider the old Irish saying … “Never let the truth get in the way of a good story.” There are many stories circulating about Ireland that have a basis in truth but have been embellished over the year. Thanks for stopping by to check out this post. Going on my first visit to Ireland this spring and making up my itinery. Thanks for more places to see. 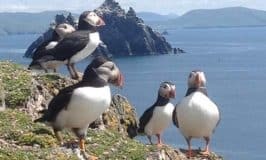 Hi Christine – Happy planning – I hope your trip will be fantastic, and that Ireland will be everything you ever dreamed it might be. Mairead, your review brought up some important points re: timelines, etc. in what sounds like an interesting read. Having emigrated from Dublin as a youngster in 1960, I only returned for the first time in 2010! I was so moved to see the GPO where my grandpa Mc Ginley took part in the 1916 uprising, and was haunted by Kilmainham jail. Thanks for all you post, this book sounds like a worthwhile read! Hi Miriam – I’m so glad you got to return to Ireland in 2010. Fifty years is a long time to be away, but it sounds like you were able to see the places of great importance to your family. We are all indebted to people like your Grandpa McGinley for their courage and bravery in setting Ireland on a course towards freedom. Thanks for checking out my blog. Anything about the Easter Uprising I read and study, this book sounds like a real winner. Love to have the book!!! Hi John – Reading everyone’s comments really does underscore how many of us are interested in Irish history and especially the events triggered by the Easter Rising that set us on a course towards independence. Sounds like a good book and something I would enjoy. I love anything about the Rising. congrats to the author. Hi Brighid – Thanks for checking out this post and book review. Ashby Jones’ writing style is captivating. My visit to Kilmainham jail left a lasting impression of all the freedom fighters. Love reading your blog and have a special interest in book recommendations and recioes. Keep up the good work. Thanks Margit. I think Kilmainham Jail may be one of the most haunting places to visit in Ireland. Many readers have commented on this post and others about their memorable visits there. Thanks so much for stopping by. I certainly look forward to reading this! I have visited Kilmainham several times and found it very interesting. Indeed, I am very interested in the nature and narrative of Irish rebellions throughout history, and have written several theses discussing various acts of rebellion in 20th-century Ireland. Thanks for the fantastic and detailed review! Hi Allys – I would find your theses’ topics fascinating. I would love to learn more about the conclusions you have reached. You probably could shed some more light on the “Irish psyche” through your research efforts. Thanks for adding to this discussion. I’d really like to know more about this time in Ireland’s history. Historical Fiction is my favorite type of reading! Thanks for the great review! Hi Sinita – I too love historical fiction. I hope to complete my own historical novel someday very soon. I love historical novels and always enjoy trying a new-to-me author. Thanks for the chance to win this book, Mairéad! Hi Cheryl – Historical novels are my favorite – I just wish there were more hours in the day to devote to reading more and more books. All the best, and thanks for supporting this little giveaway. When coming to Ireland for the first time, in 2013, my husband and I visited Kilmainham Jail. it was very sobering and eye opening, to the trials and history of the people. It was a place I will never forget. I look forward to reading this book and learning even more. Thank you for all the things you share with us. 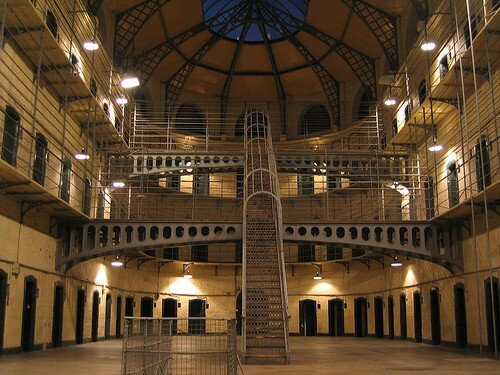 Hi Debra – A visit to Kilmainham Jail has been so memorable, poignant, and touching for many of my blog readers. Thanks for letting us know that you too were touched by your experiences there. All the best, and thanks for stopping by. I am so glad i found your blog, I love your writing and I look forward to reading more of it. 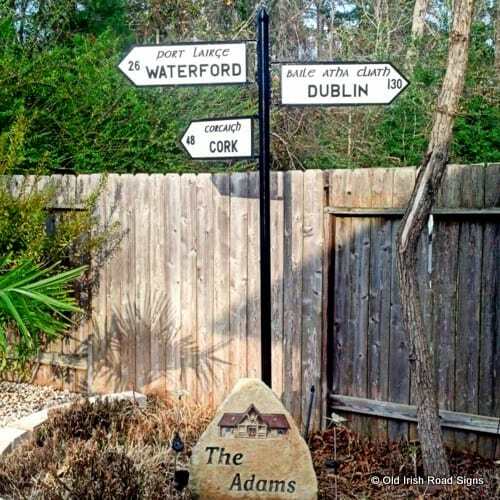 I grew up in Dublin and moved to Ontario Canada 35 years ago. I would love to read the book, they were such brave young men in the rising. Hi Kay – I’m so glad you stumbled across my blog and thanks so much for taking time to check out my stories. 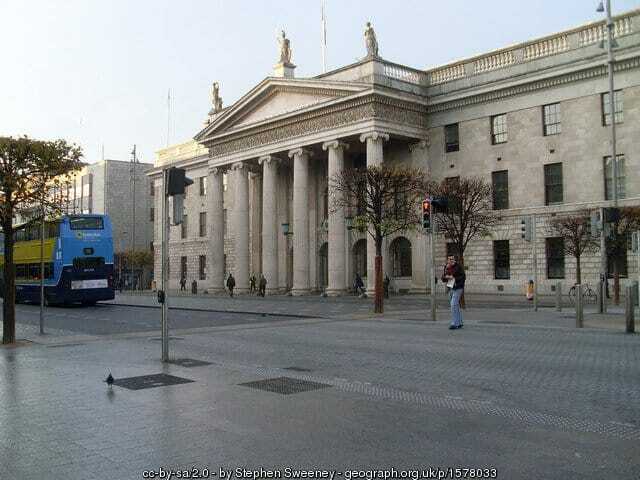 We probably share many memories of life growing up in Dublin. I’m just finishing up Lion of Ireland about Brian Boru. And am going to start 1916 by Morgan Llywelyn. Love the stories around history. I’m reminded of the days that I used to spend time with my father in his den. I would see that framed Proclamation of the Republic hung up on the wall. The stories and the history that was taught to me has always stuck with me. As the centennial approaches I remember places that I have visited in Ireland and the history that was taught. Now I know how much it means to me to be Irish. Love your review. It helps a lot to know about another story with history. Hi Sheila – thanks for mentioning two more books I need to add to my reading list. I too love historical biographies, so a book about Brian Boru is exactly what I like to read. Lovely to hear you are proud of your Irish heritage and that this year, 2016 is so meaningful for you. 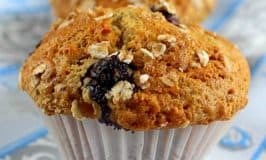 I just stumbled upon your blog after a posting of Irish Roasters was recommended to me via Pinterest and I must say, I’m quite enjoying your blog! 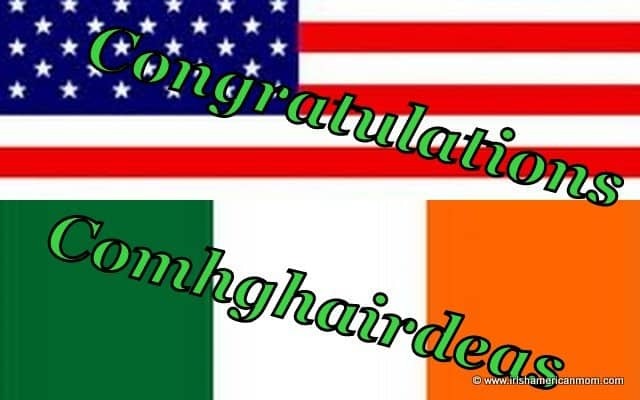 I’m a first generation American born to two Dublin reared and raised parents. Hi Linda – I’m delighted you found my blog and had time to check out my recipes and ramblings. Having been raised by two Dublin parents, I’m sure many of my stories will ring a bell with you, or remind you of some of your parents sayings and ways of doing things. Stop by again whenever you have a spare moment to spend as I share my stories of Ireland and America.